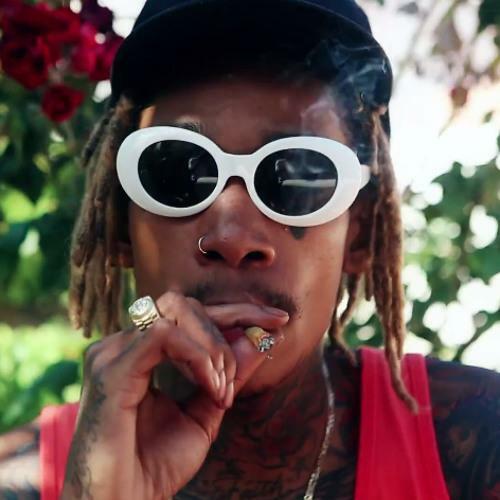 Wiz Khalifa releases the audio for "The Play." Yesterday, Wiz Khalifa linked us to a brand new song, "The Play," via a summery video that showed him hanging with his dogs (both a French Bulldog and Ty Dolla $ign) and feeding ducks at the park with his son. Today, we get the audio for the Harry Fraud-produced cut that samples a choice track by indie pop songstress Bat For Lashes. A perfect blend of the trappier territory Wiz explored on 28 Grams, the weirder atmospheres of his songs like "Smoke Chambers," and chipmunk soul that hearkens back to his glory days, "The Play" is one of the best tracks he's released in 2015.